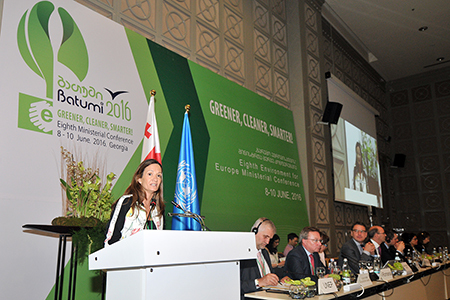 8th Environment for Europe Ministerial Conference - Greener, Cleaner, Smarter! 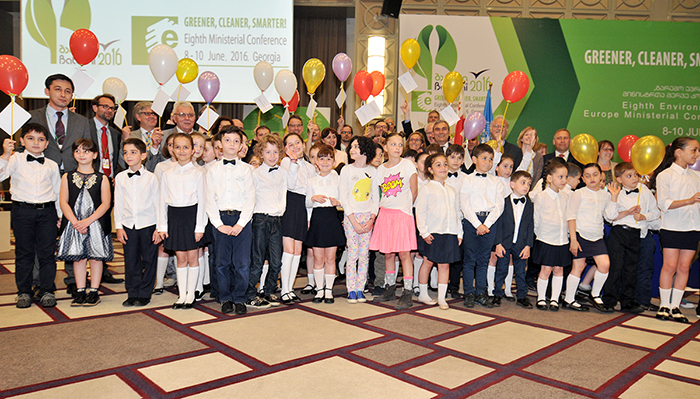 generations so that they can breathe fresh air and live in a healthy environmen. 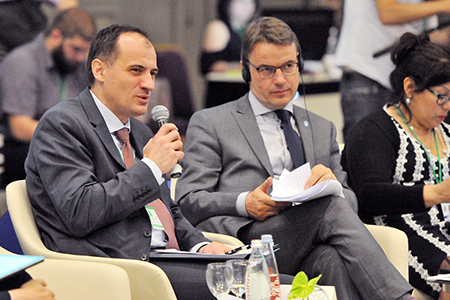 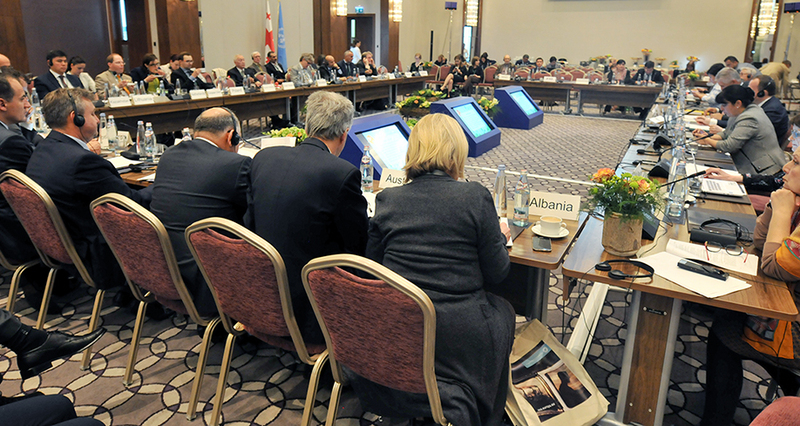 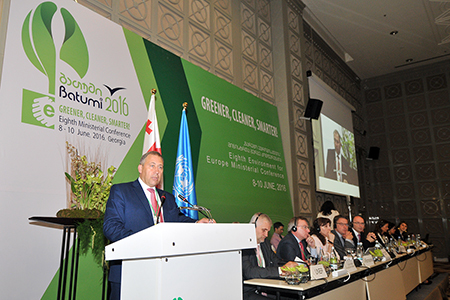 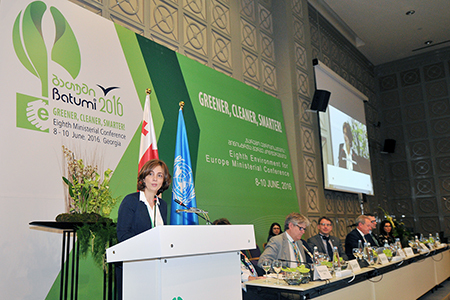 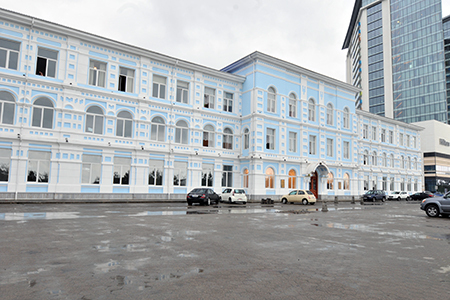 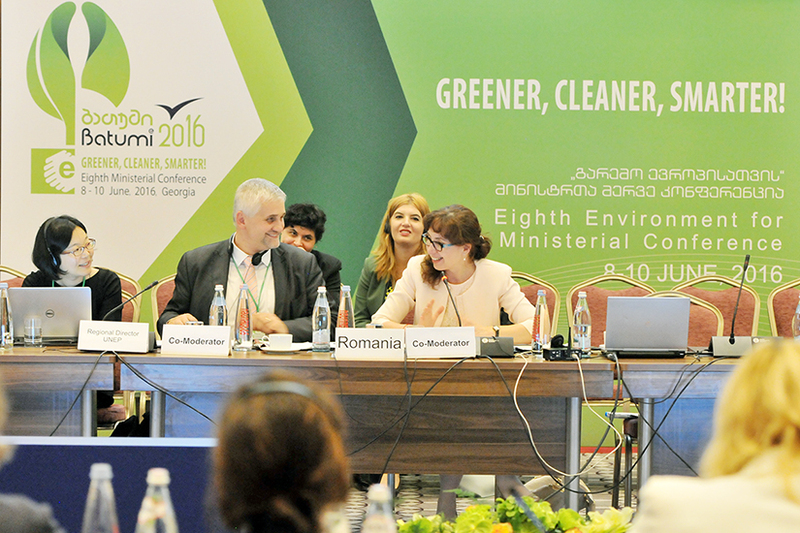 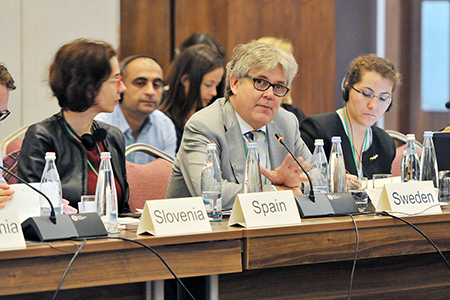 The Eighth Environment for Europe Ministerial Conference reconvened on Thursday, 9 June 2016, in Batumi, Georgia. 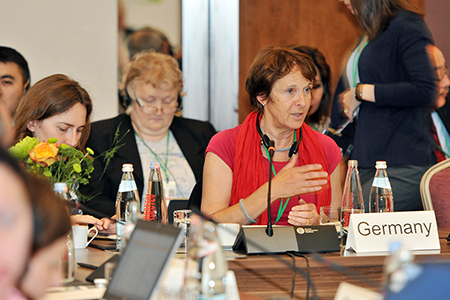 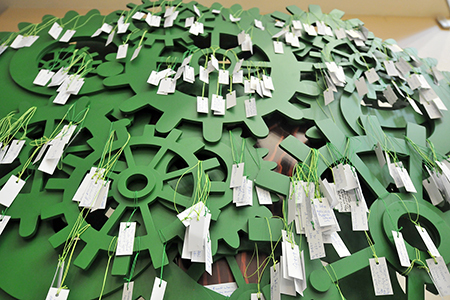 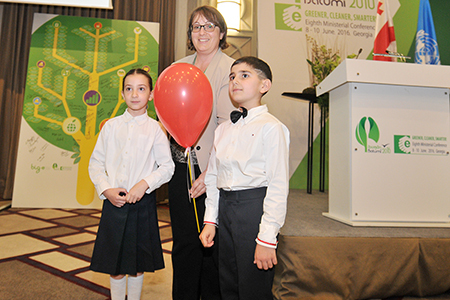 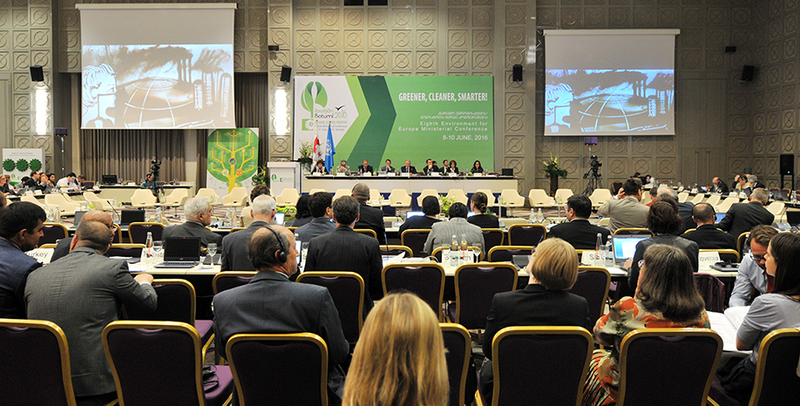 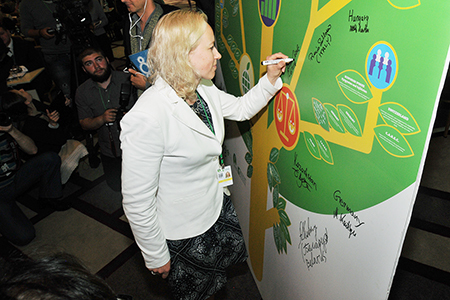 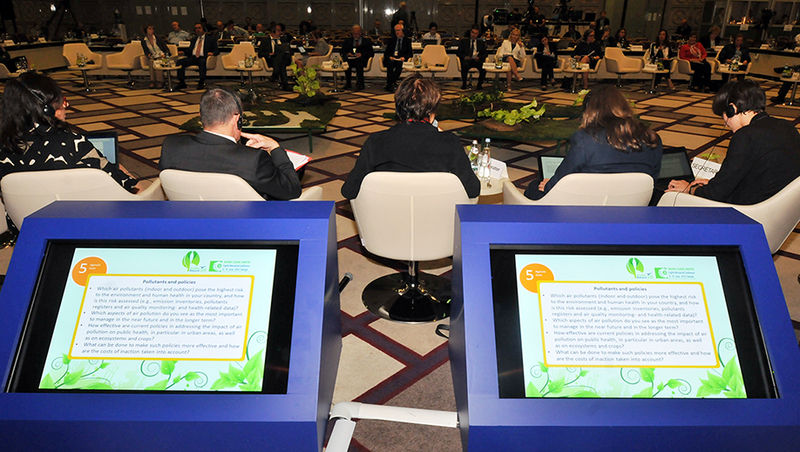 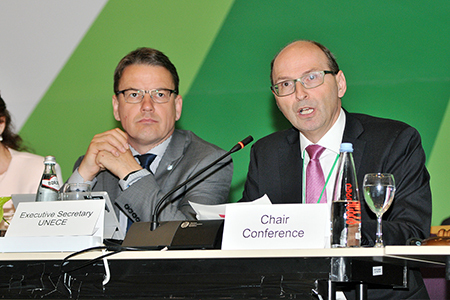 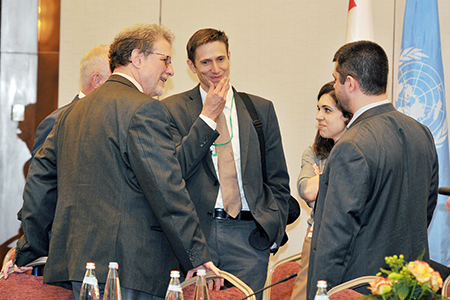 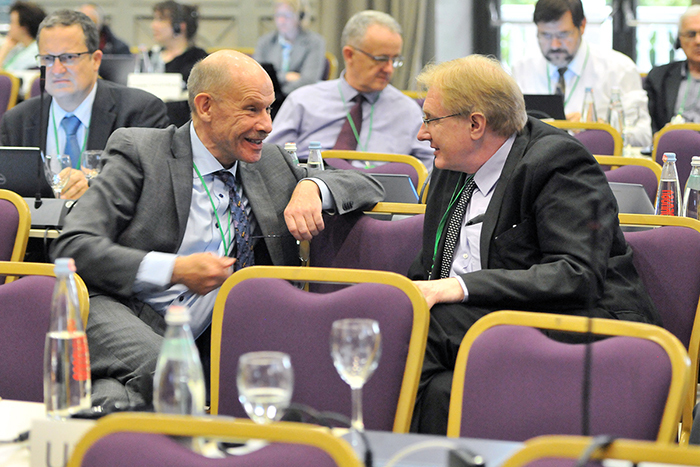 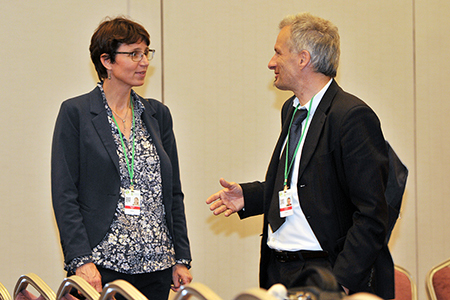 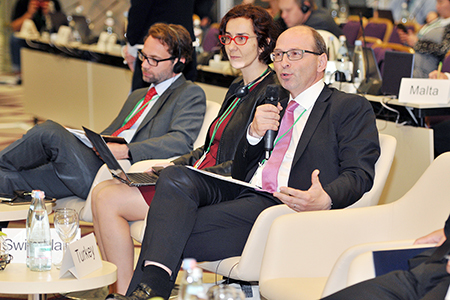 In the morning, a plenary session took place on greening the economy in the pan-European region. 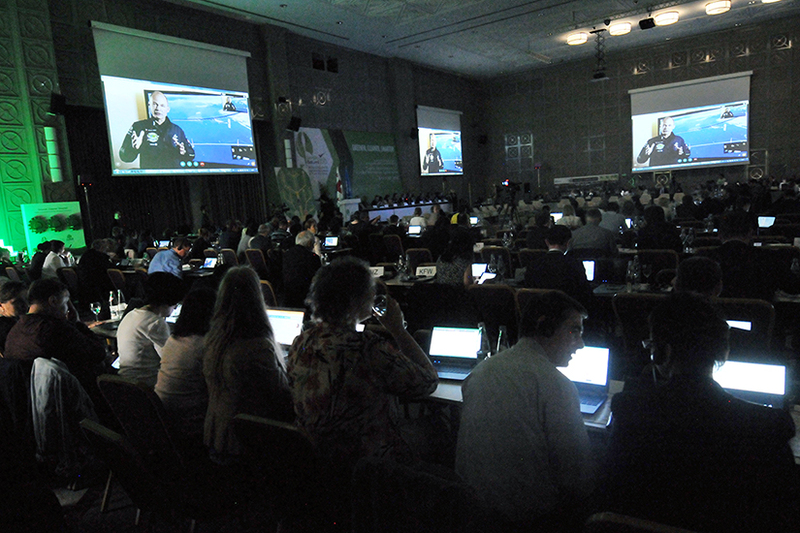 Bertrand Piccard, Aviation Pioneer and UNEP Goodwill Ambassador, via live video-link, described his round-the-world flight on the airplane Solar Impulse, demonstrating the potential of solar energy. 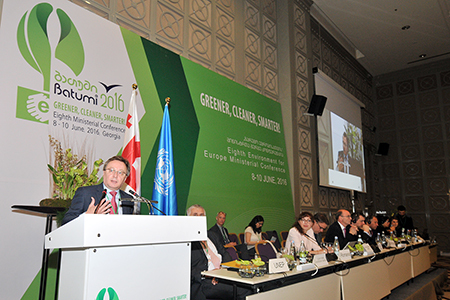 In a keynote address, Graeme Maxton, Secretary General, the Club of Rome, and author, explained how the current economic system ignores externalities and increases unemployment, inequalities and negative impacts on the Earth and atmosphere. 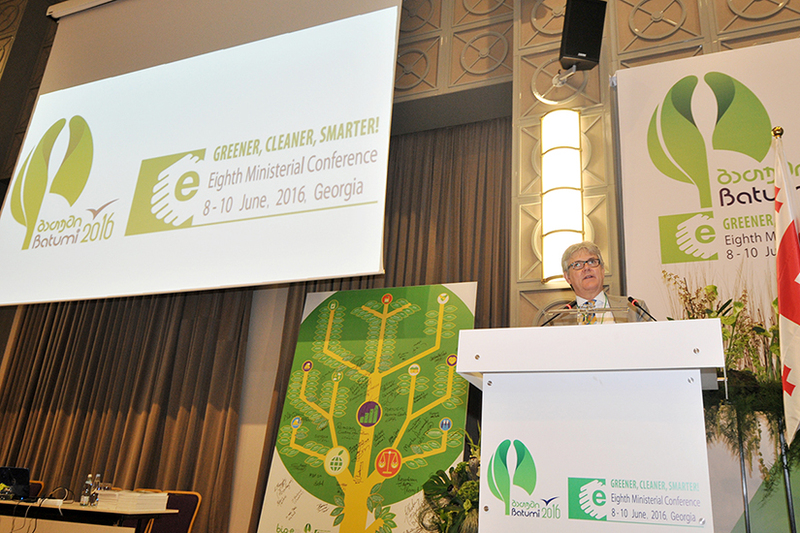 Participants then endorsed the Pan-European Strategic Framework for Greening the Economy and adopted the Batumi Initiative on Green Economy (BIG-E). 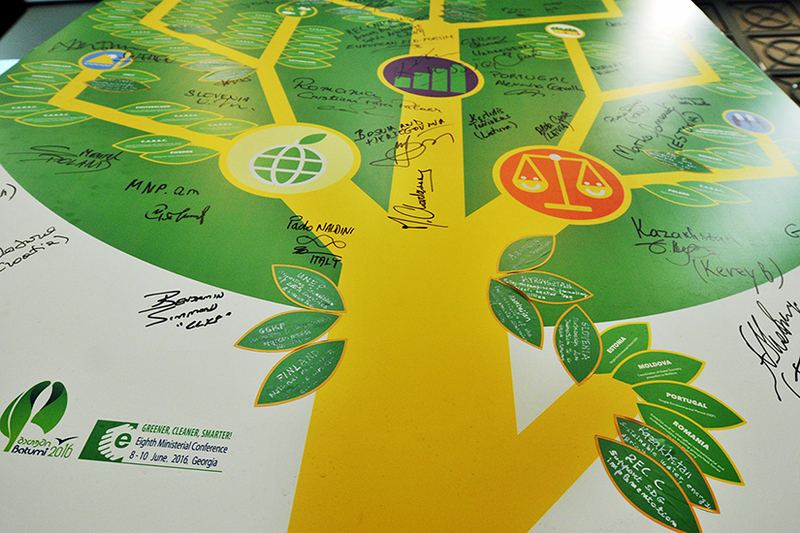 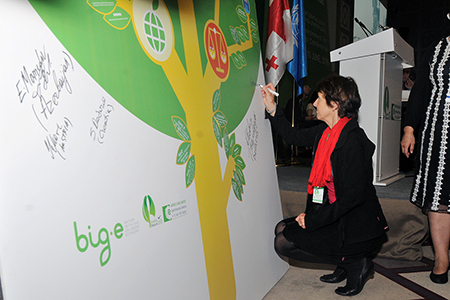 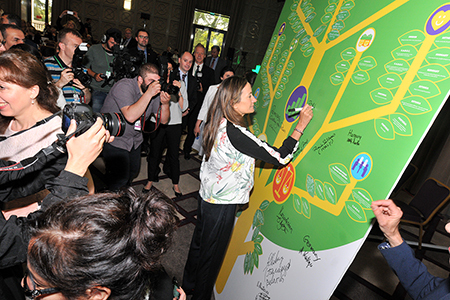 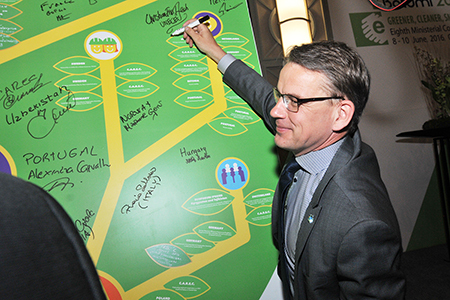 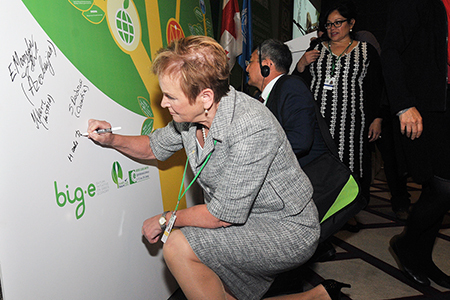 A total of 36 countries and organizations submitted voluntary commitments to the BIG-E. 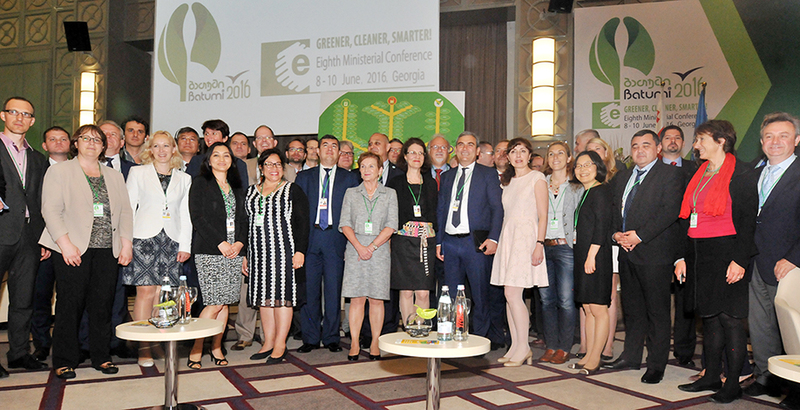 Participants then convened in two parallel sessions of a multi-stakeholder roundtable on greening the economy in the pan-European region. 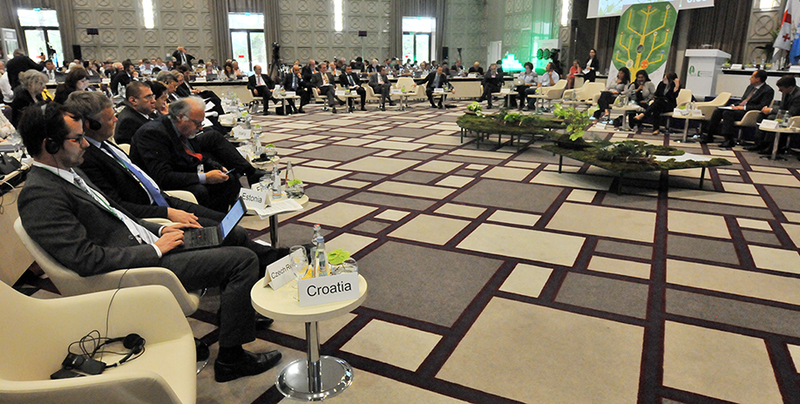 The roundtables focused on green economy opportunities and challenges; paths to sustainability; green incentives; and cooperation. 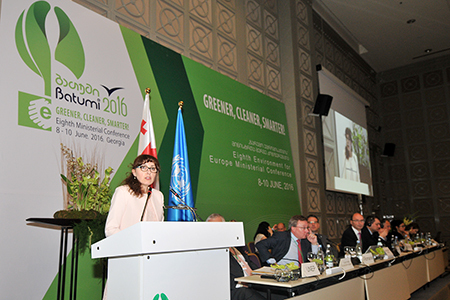 In the afternoon, plenary addressed air quality and human health. 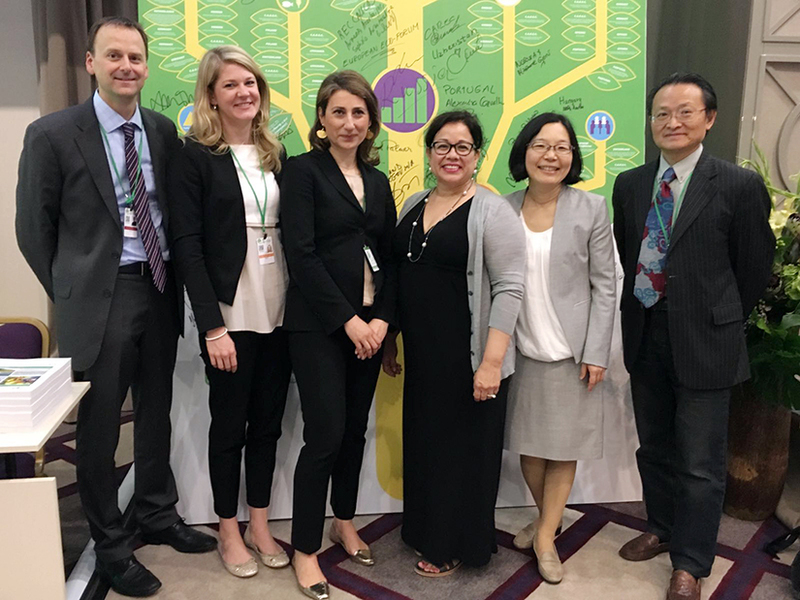 Participants heard three keynote addresses, which focused on national actions to address air pollution, the burden air pollution places on both health and national economies and an example of an integrated management framework to address air pollution. 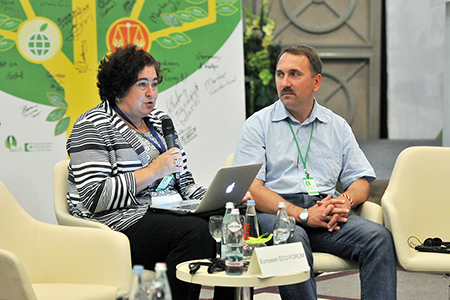 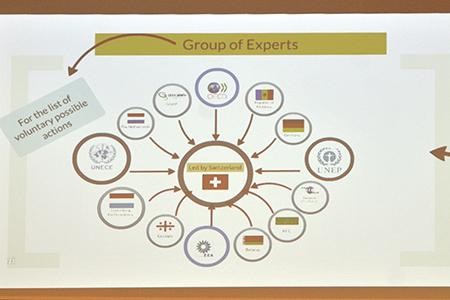 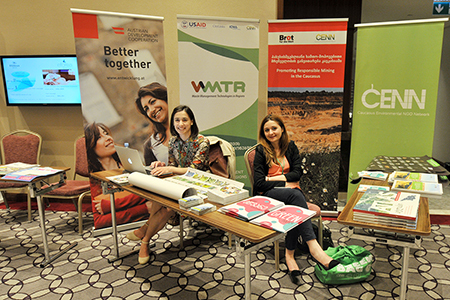 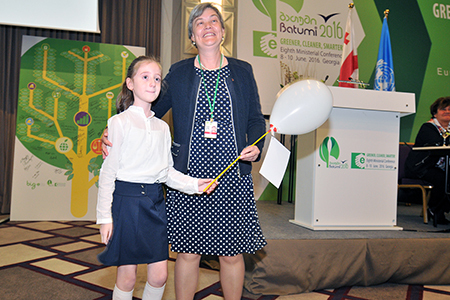 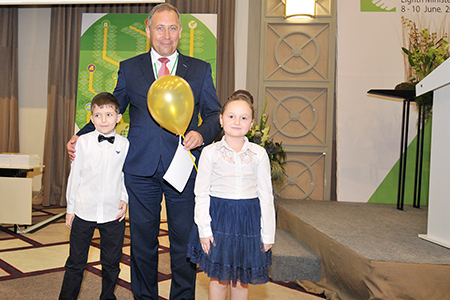 Participants then endorsed the Batumi Action for Cleaner Air (BACA). 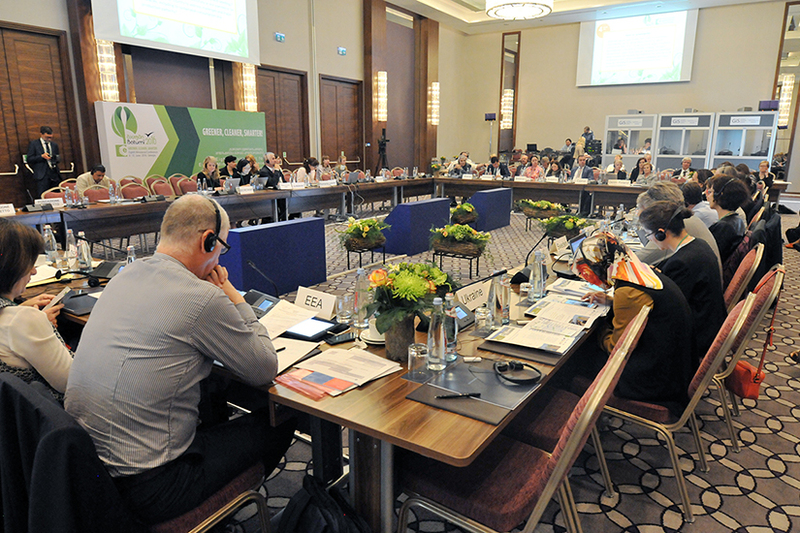 Delegates then participated in two parallel sessions of a multi-stakeholder roundtable on air quality and human health. 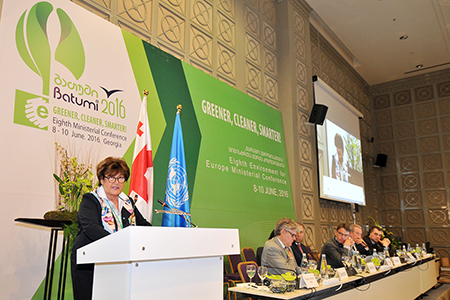 The roundtables addressed pollutants and policies; sectors and funding; public awareness and participation; and cooperation. 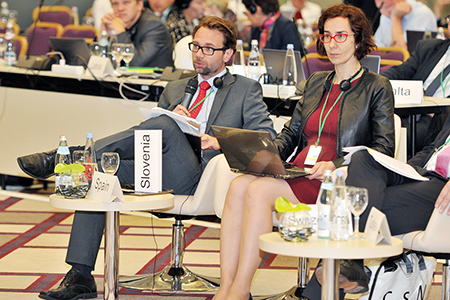 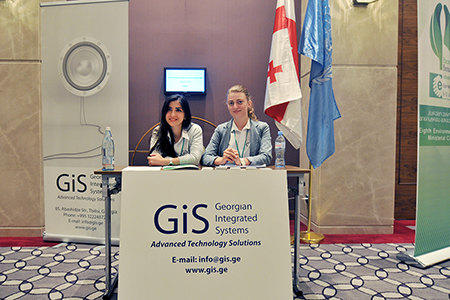 IISD Reporting Services, through its ENB+ Meeting Coverage, has provided daily reports, daily digital coverage and a summary report from the 8th Environment for Europe Ministerial Conference. 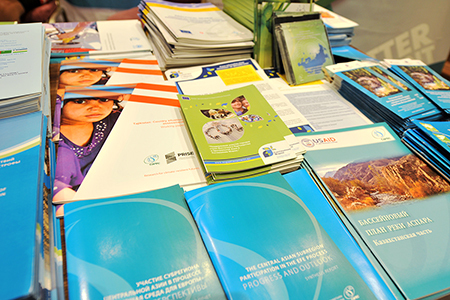 Our summary report is available in HTML or PDF format. 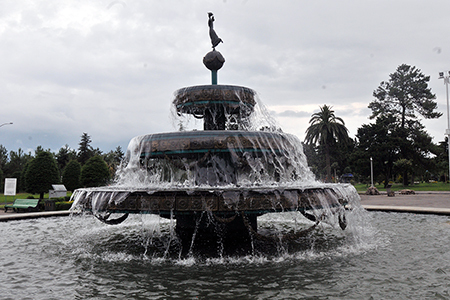 a stopover in New York. 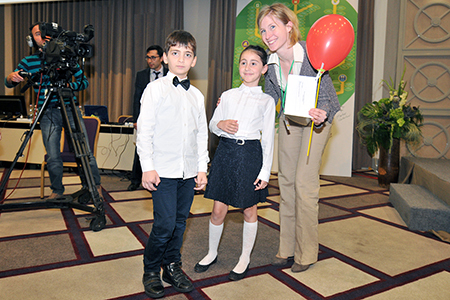 He is flying around the Earth to demonstrate the potential of solar renewable energy. 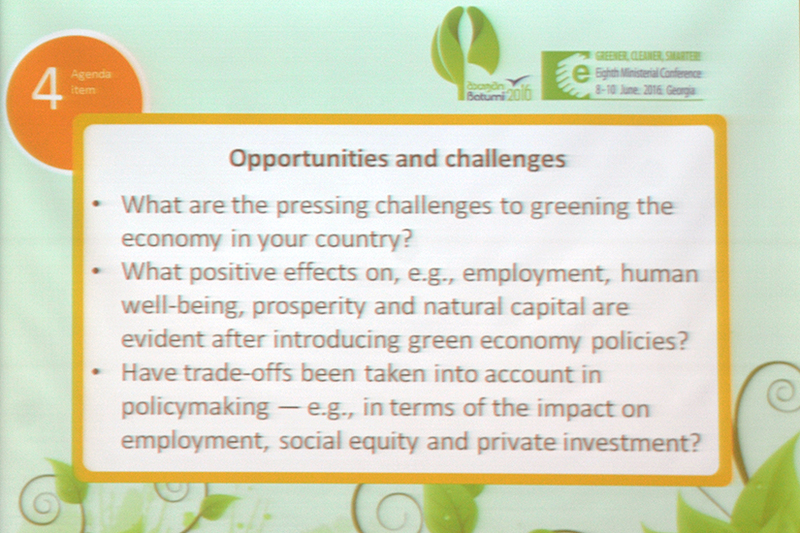 UNECE, Ivonne Higuero, UNECE, Rie Tsutsumi, UNEP ROE, and Fulai Sheng, UNEP.